Free shipping with $116.12 purchase from kultspecht. See item details below for sale terms. Sollte die evtl. vorhandene Jahreszahl veraltet sein, bitte richtige Jahreszahl hier angeben. 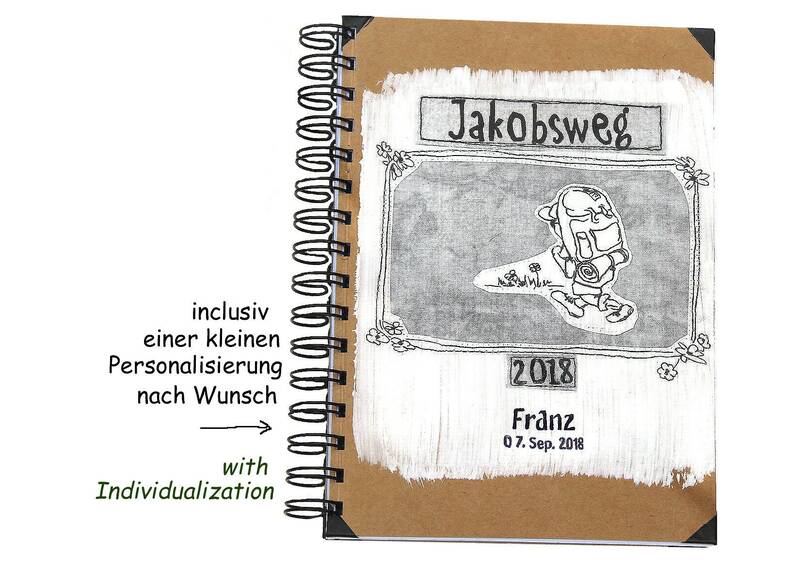 Außerdem die gewünschte Personalisierung (mit kleiner Schrift unterhalb des Motivs) oder "ohne Personalisierung" schreiben. A book for notes and photos of the journey. A pretty retro gift and memo book. A design notebook with printed motif on kraft paper. Inside 40 sheets / 80 pages 160 grams of paper. With the strong "Handmade-Cover" it is a unique one: the white surface is applied manually before the print and can therefore always differ slightly - a unique notebook! I will send it with normal matching spiral binding. Only on special request, you can also have it with a slightly larger spiral binding for additional sticking of up to 30 photos (see photo).